Address: 425090 Republic Mariy-El, Zvenigovsky r-n, pos. Krasnogorsky, Tcsentralnaya st., 73. 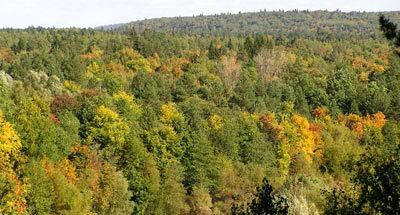 National Park Mariy Chodra, in Morkinsky, Zvenigovsky and Volzhsky Districts of the Republic Mariy-El was established in 1995. Its area is 36,6 thousand ha. 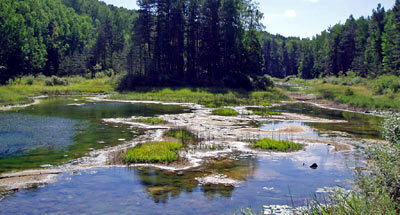 The Park is situated in the Ilet River basin, left tributary of the Volga River. It comprises a part of Mariy-Vyatsky rampart, dissected there into sphere-like uplands (Klenovaya mountain, etc.). Many crescent lakes contain fango. The plant cover is sub-taiga coniferous-broad-leaved forests. On the upland sites oak forests with an admixture of maple, linden, spruce are common; in valleys mixed forests of spruce, pine, linden, oak, maple, aspen, elm and also floodplain oak forests. There are pine forests with an admixture of aspen, birch, spruce. 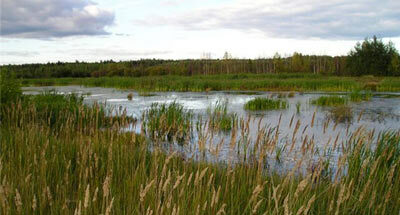 Some small areas are occupied by eutrophic herb fens. The flora represents taiga, forest-steppe and steppe species. About 50 plants are rare for the Mariy-El flora. Common for the animal life are the moose, squirrel, chipmunk, European hare, least, weasel, ermine, European polecat, marten; among the mammal dwellers are the beaver (reacclimatized) and otter. The Tetraonidae dwellers include the black grouse, capercaillie, hazel grouse; the raptors are the buzzard, goshawk, black kite; the golden eagle occasionally appears. On floodplain lakes the mallard and European teal nest.